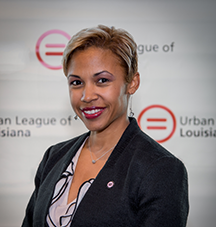 The Urban League of Louisiana (ULLA) announced today that President and CEO, Erika McConduit, has resigned to explore other career opportunities, effective July 2018. The search for McConduit’s successor will begin in the near future. The Urban League touches the lives of over 10,000 Louisianans each year through direct service programs in early childhood education, parent engagement, college and career readiness, workforce development, economic inclusion, and civic engagement. During McConduit’s service as President and CEO, countless members of the community were impacted in each of ULLA’s direct service areas, which had a direct and sustainable impact on the region at large.In addition, her tenacious policy and advocacy efforts helped to transform systems at both the local and state level.